A few weeks ago we set out to make sushi at home for the very first time. We learned two very important lessons: (1) it is easier than you might think; and (2) it is cheaper than you might think. We’ve always loved going out for sushi and were over the moon when Oka Maki opened up on Charlotte Street in Sydney. Their sushi is some of the best but at $60-$65 for two people (pretty standard unless you’re lucky enough to enjoy your sushi in BC) it’s not something we do all that often. This comes in strips and chunks – we used the chunks the first time and strips the second time. Go with the strips if you can. They’re easier to cut and roll up much neater. First we cooked the rice. The instructions suggested seventeen minutes to cook and then three minutes to let stand. We learned the hard way to be patient and give it at least another fifteen to twenty minutes to cool. Scalding hot rice isn’t easy on the fingers. While the rice cooked and cooled we cut up everything else. Cut up ingredients waiting to be rolled! Altogether, it took us almost an hour (cook and cool rice, cut ingredients, assemble) to make. This isn’t a treat to whip up last minute or if you’re already feeling faint from hunger. But it’s worth it, I promise you. We learned that nori is sticky and delicate. 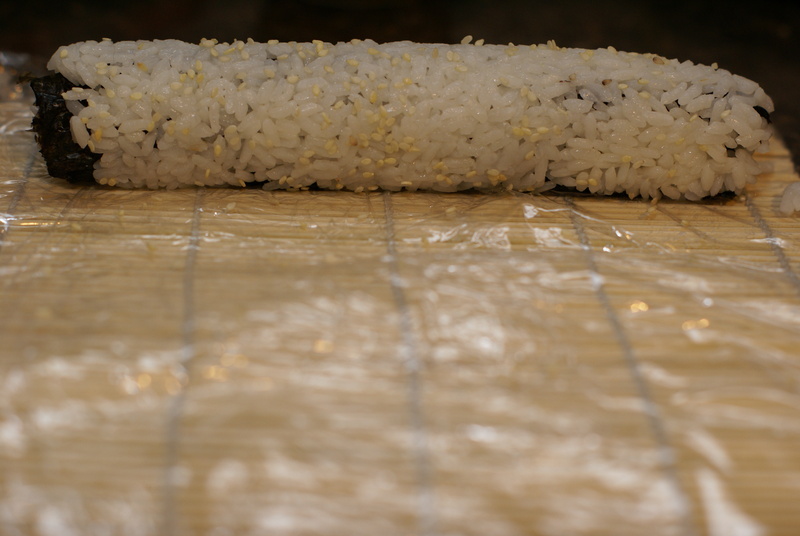 To keep the rice and/or nori from sticking to your bamboo roller, wrap the roller in siran wrap. To keep the nori from sticking to your fingers, dip your fingers in a little bit of mayonnaise. A roll waiting to be cut into pieces. Our biggest lesson the first time around was buy less salmon. Way less. Unless you’re going to make a lot of nigiri (fresh fish on little mounds of sticky rice) you’ll actually use very little salmon. We learned that this is a lot of salmon. We also learned that everything we made was still good the next day. This is what we were hoping for since we wanted to take some for lunch. It wasn’t so good, however, the day after that. Part of the fun of going out for sushi is the variety. This is something that, without a much bigger investment of time and money, is trickier to replicate at home. Still, compared to a $60 bill (dinner for two with taxes and tip) we saved more than $35 (based on what we used and our lesson learned about less salmon), making this something we can enjoy once every few weeks instead of once every few months. I’ll raise a glass of saki to that! For recipes and techniques pay a quick visit to You Tube and you will find all you need. Erika lives in the historic Northend of Sydney with her handsome partner Rob and beautiful, but increasingly mischievous toddler, Frances. When she dreams about having free time, it is filled with sailing, knitting and gardening. Since it is a dream and in no way tied to her actual track record, the garden is thriving. You can read the first Frugal Friday column here! 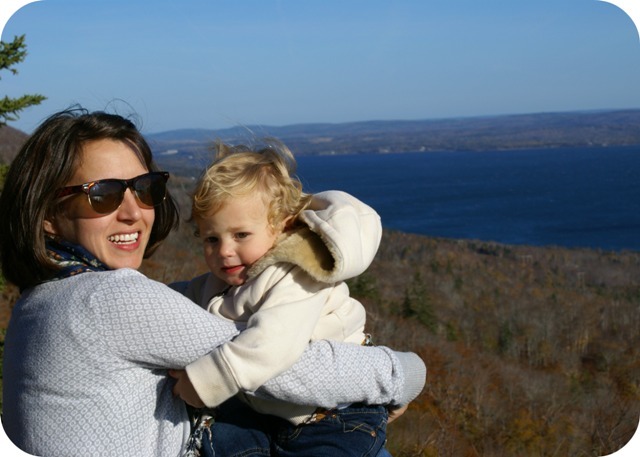 This entry was posted in Guest posts, Uncategorized and tagged DIY, Erika Shea, food, frugality, guest posts, money, Northend, sushi, Sydney, thrift, tips. Bookmark the permalink. 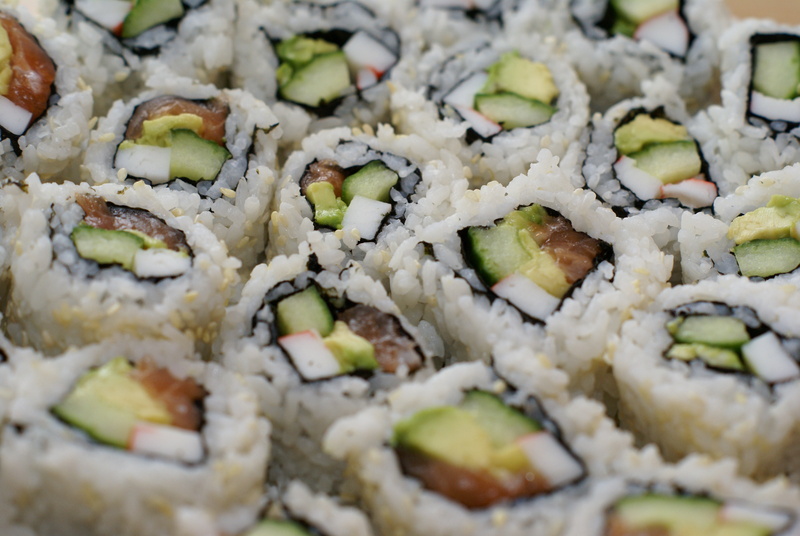 Mmm….sushi. Great post, I love making sushi at home and the new Sobey’s, as you mentioned, has a ton of sushi ingredients (and a pretty amazing international foods isle as well). 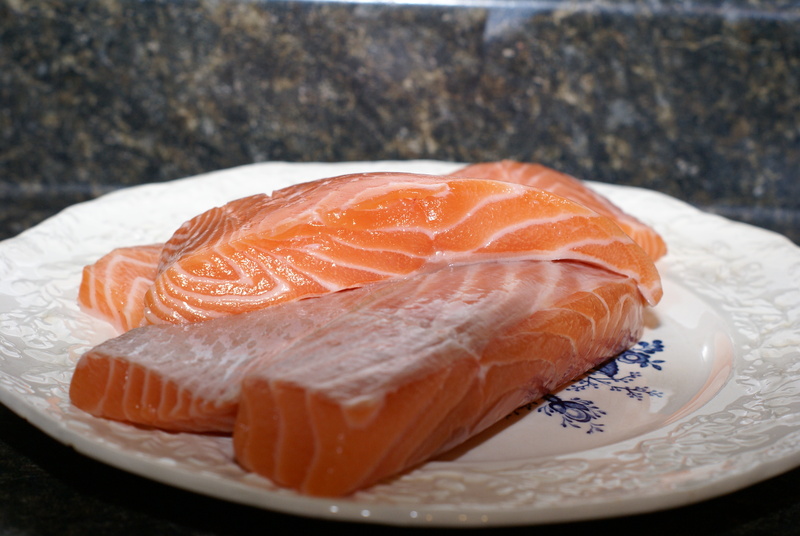 It’s also a good idea to buy your salmon fresh and then freeze it for 24-48 hours before defrosting it in the fridge to use in your sushi. This kills any potential undesirable parasites and is a common practice of sushi restaurants (as far as I know!). Have become a fan of making suishi at home too. Getting better each time, I must say. Learning techniques are simply that…learning. That’s the fun part. My sushi rolls that started out egg shaped are now looking more round all the time. I did find the Nori sheets at Oka Maki are far better tasting than “others”. Love to have a hint of Wasabi on the side too, certainly brightening each bite, but be careful, it’s Killer! 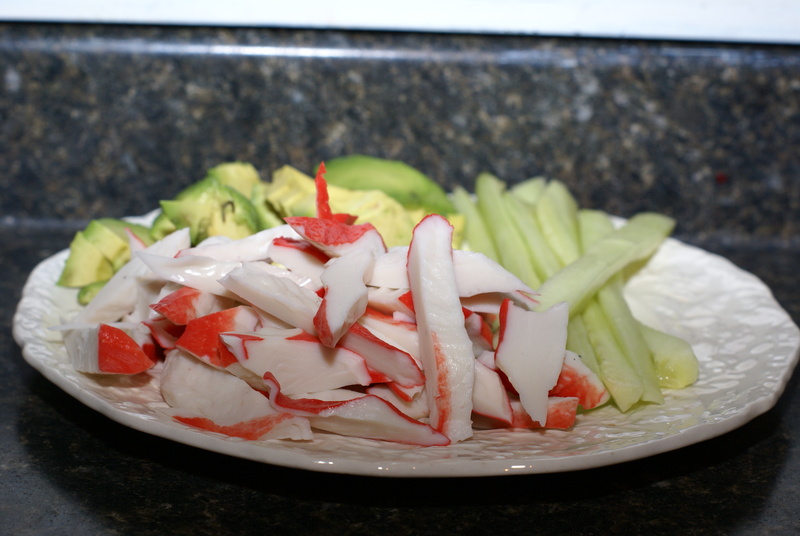 My only add to this great article … a really super sharp knife is a must to cut the sushi rolls, and I dip the knife each time in cold water to avoid sticking. Surely Rob keeps a good sharp boat-knife in the kitchen! Can’t wait till next Frugal Friday, and my next sushi attempt too. Thanks Wilson for the comment! And great tip.